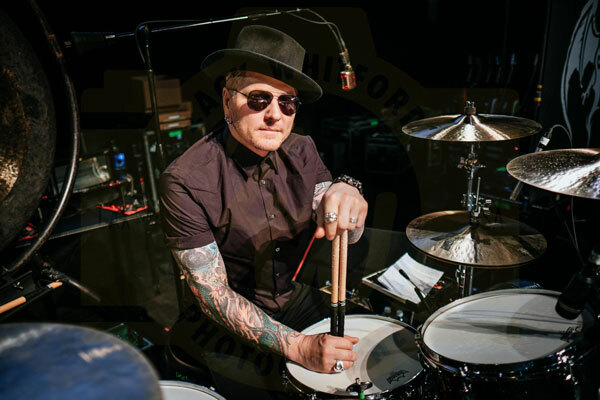 We are excited to welcome Rock and Roll legend Matt Sorum as an ambassador to ORP. At 14-years-old, Sorum was wailing with his band, The Prophecy, alongside the likes of Van Halen and Devo at The Whisky-A-Go-Go and Crazy Horse West. Rock ‘n’ roll had always called to him, and he embraced it with an unshakable grip. Over the next few years, Sorum honed his chops in numerous session gigs with artists, such as Shaun Cassidy, Belinda Carlisle, and King Solomon Burke, solidifying his reputation as a go-to studio drummer. It was next step, though, that skyrocketed him into the consciousness of music fans worldwide. Hearing about auditions for The Cult, he tried out. Bashing out each track with unshakable conviction, he got the job. For two years, Sorum rocked all over the world in The Cult on tours with Metallica and Aerosmith. The jaunt brought Sorum back home in the summer of 1990. Duff McKagan and Slash of Guns N’ Roses caught that particular tour-ending gig. They were so blown away by Sorum, that they quickly asked him to join Guns N’Rose. Matt also joined up with Alice Cooper, Joe Perry and Johnny Depp to tour Europe and the US with Hollywood Vampires, which started with warm up gigs at the world-famous Roxy on the Sunset Strip followed by a headlining slot at Rock N’ Rio in Rio, Brazil.The Vampires also appeared on the 2016 Grammy awards, performing an original track entitled “Bad as I am” followed by a tribute to the late Lemmy Kilmister with a rowdy version of “Ace of Spades”.